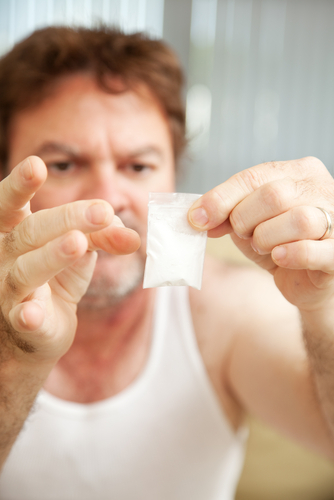 A new study identifies the differences in power and crack cocaine use. Commonly, these two different forms of cocaine are combined and classified as ‘cocaine use’, but there are differences not only in the drug form itself, but how each affects the body. Powder cocaine is as the name implies. The cocaine is either cut or crushed into a powder-like substance, often looking like a mound of salt or sugar. It is white or off-white in color. Crack cocaine can range from tan to white and is in rock form, like quartz. The study does not focus on the differences between crack cocaine and powder cocaine, though they do differ in how the effect the body. Powder cocaine is faster absorbed as it is most often snorted and can get into the bloodstream quicker, while crack cocaine is smoked and takes longer to hit the bloodstream. The study found that there are various other things that factor into whether or not crack or powder is used. In a study by Monitoring the Future (MTF), 130 high schoolers were examined for different variables, including behavior, attitudes, and values. The variables included were socioeconomic status, education, religion, and employment status. The MTF showed that overall 6.2 percent of high school seniors used powder cocaine in their lifetime and 2.5 percent had used crack. As far as status, the results were surprising. Though the general public consensus is that crack is more often used in urban areas of cities, most likely due to the news outlets and media showcasing the rising problem of crack in those areas, the research does not collaborate. Powder cocaine is more prevalent in these areas, and more likely to be used in metropolitan areas rather than crack. Education is a big factor, not only in what drug form the students were more likely to take, but in whether or not they take the drug at all. Students who had parents that were of higher forms of education were less likely to take the drug at all, but more likely to do powder rather than crack. Students who came from a family who identified with a religious group were also less likely to take the drug. Money was also a factor. Students who were employed, or at least had an allowance bringing in $50 per week were less likely to use the drug, but there were no significant differences in the type of cocaine they took. There are various reasons people decide to take drugs. Whatever the reason, whether it is emotional stress, peer pressure, or depression, no one takes drugs thinking they will have the profound impact that they do. Once a person becomes addicted, their lives become a vicious circle of one bad decision after another. Gina was no exception. A twenty-five year addict of cocaine, Gina had been through rehab after rehab and had no luck staying clean. Before she attended Narconon, Gina was on the verge of losing everything. The depression and guilty she felt led her to the steps of Narconon Arrowhead. She knew she had to quit, she had tried, but she just could not stay clean. Guilt and depression are common side effects of drug abuse. The guilt is a result of the harm one is doing to themselves and those around them. The effect that the toxins released from the drugs has on the body causes depression, and when the inevitable realization hits that the addicts life is going down the drain it is understandable that they would be depressed. Because the other rehab facilities did not address the source of her drug problem, Gina would always return to drugs. She felt hopeless and that there was no return from the trap. All of her close relationships were in turmoil because of the drug use. Powder, crack, it didn’t matter, she’d had it all. Though one form might be more likely used, they are both dangerous and can lead to dependence. Narconon worked with Gina, and now she is drug free and has a positive relationship with her children.